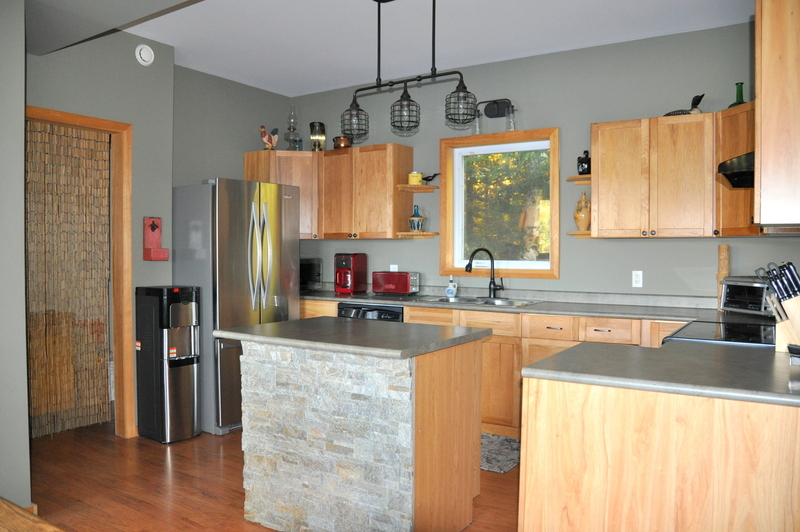 Welcome to this lovely 4 bedroom, 2,000 sq. 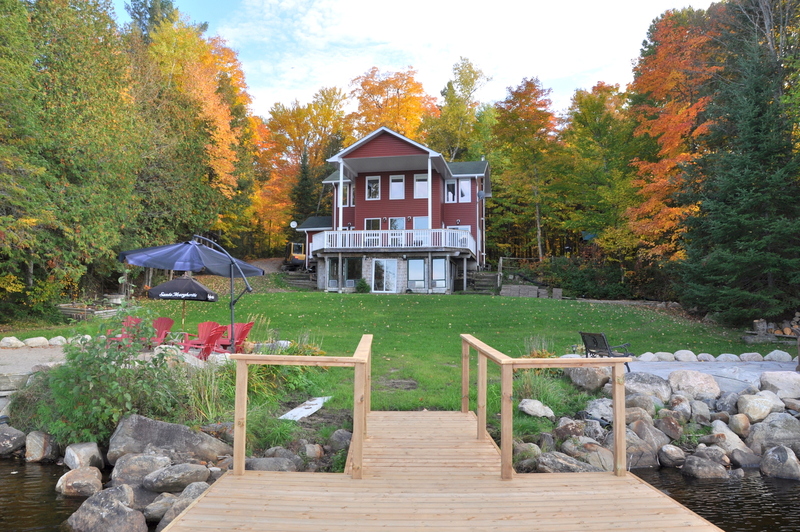 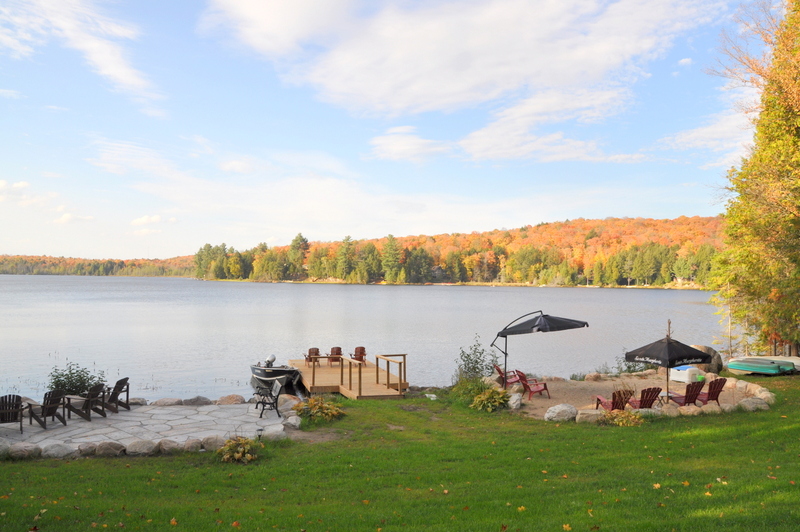 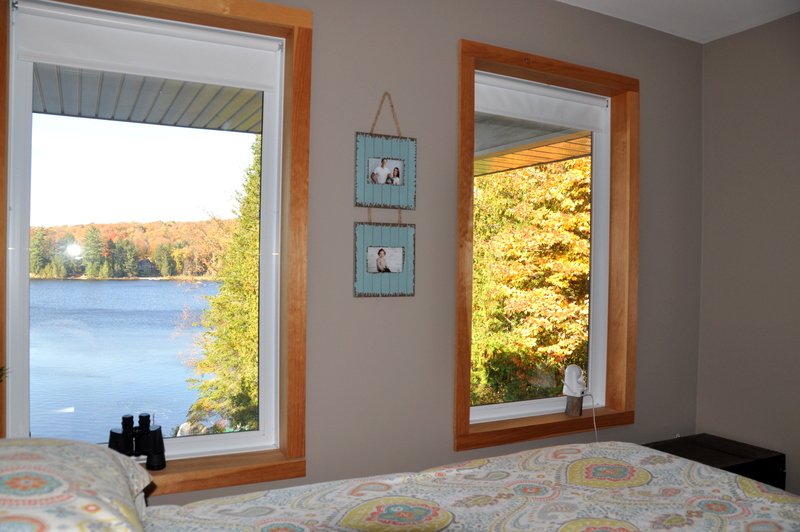 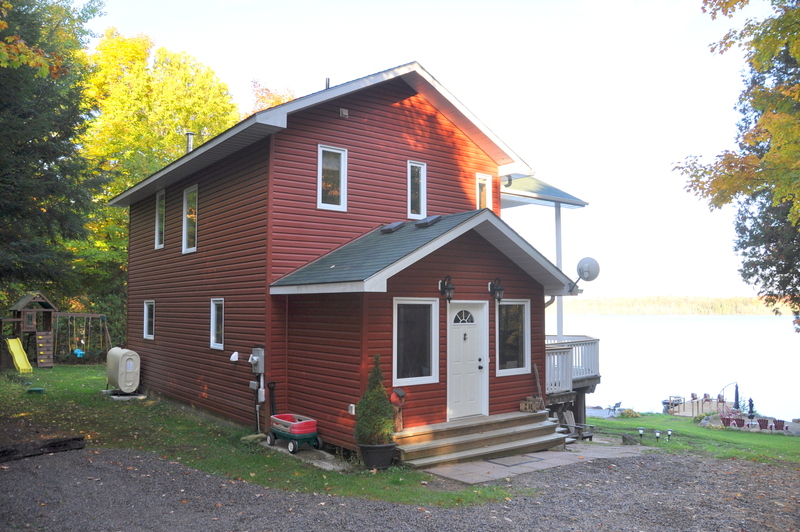 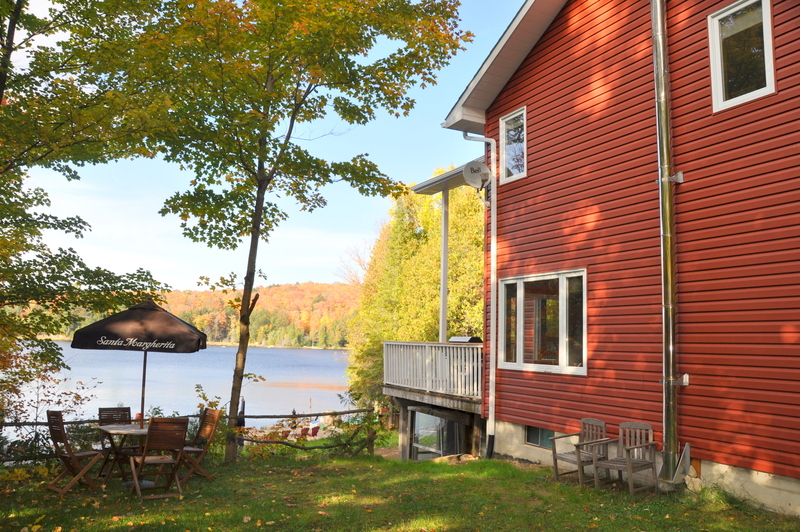 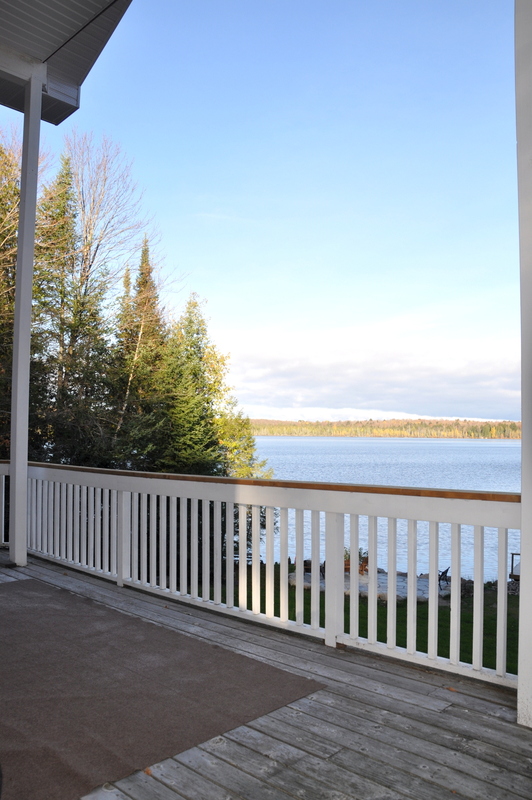 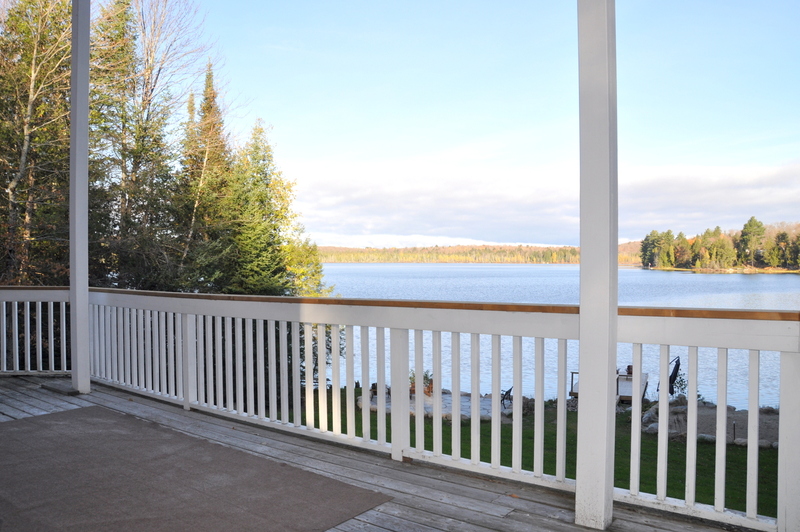 ft., 3 level cottage on peaceful Mirage Lake. 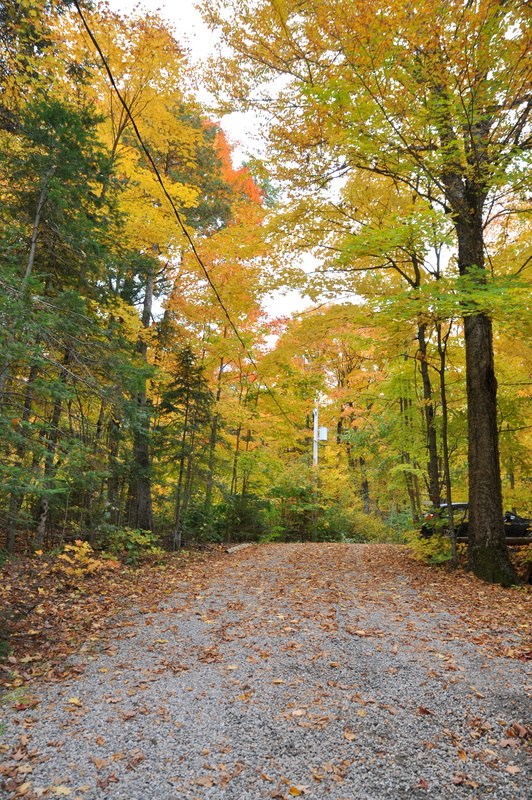 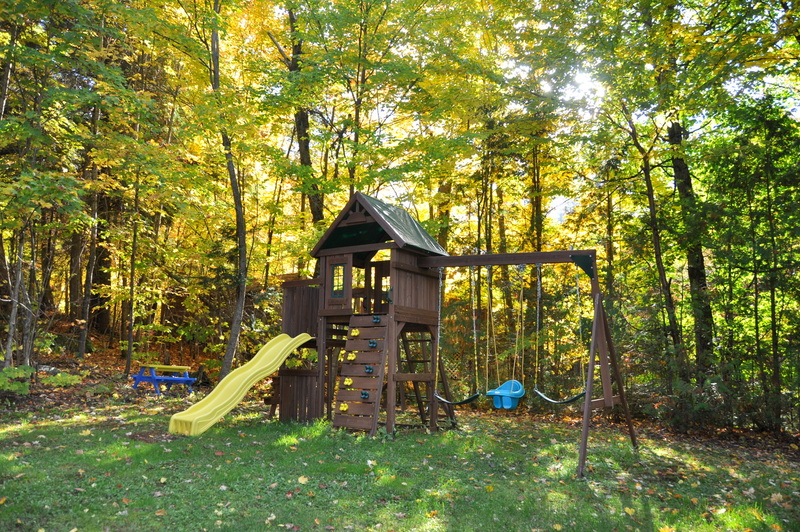 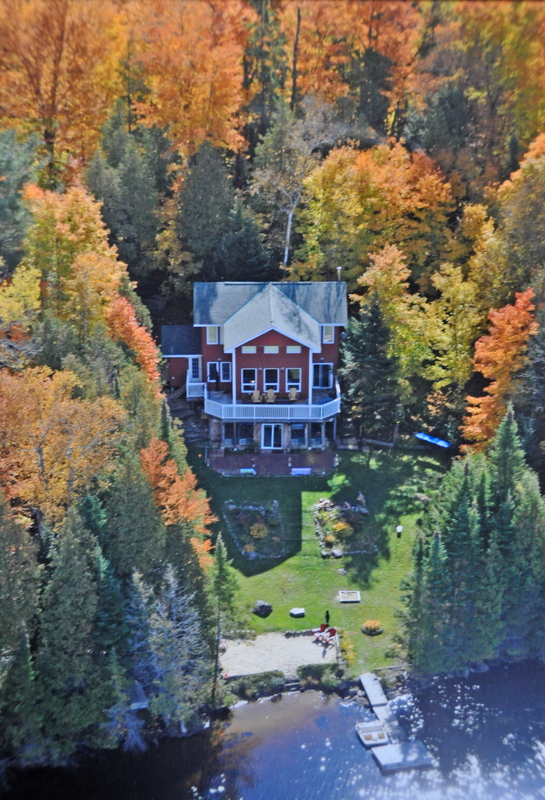 The one acre property is lined by tall trees on both sides, providing great privacy. 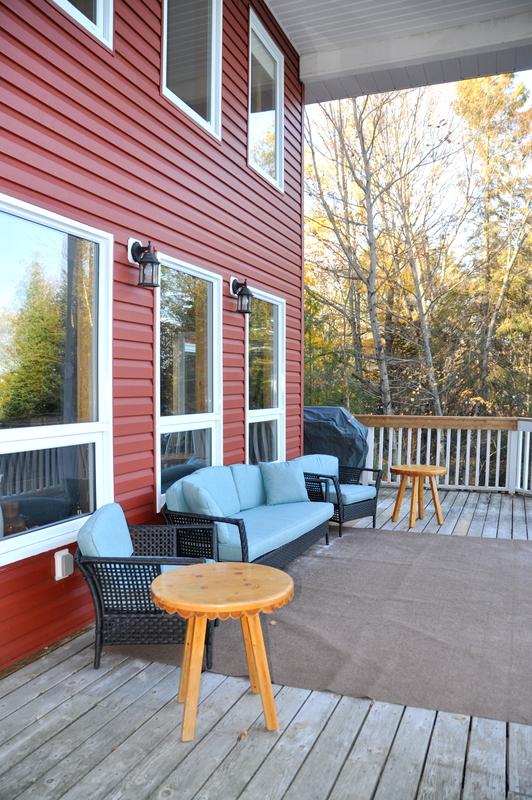 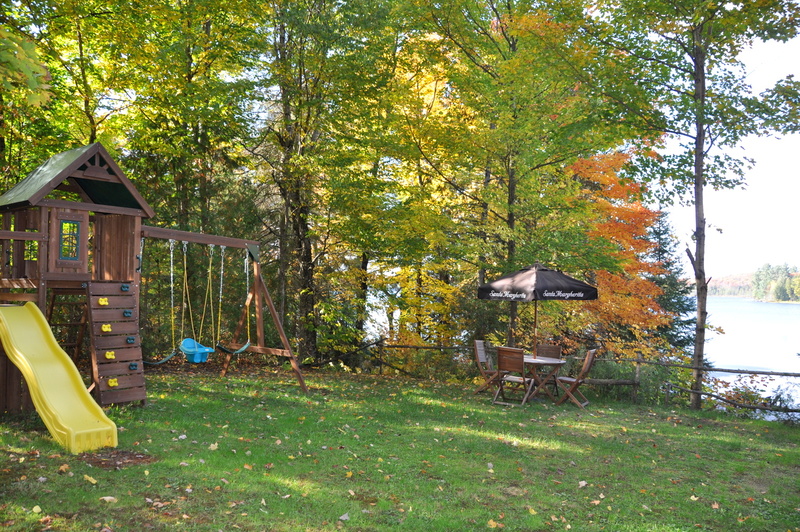 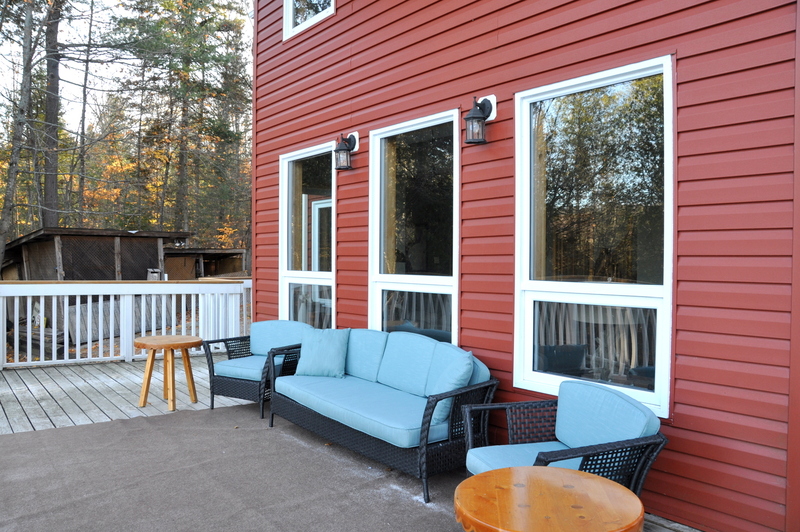 With a small side yard, complete with a children's play set, a large open front yard and 125 feet of waterfrontage with a large man-made beach area, this is a family's dream come true cottage country vacation destinaltion! 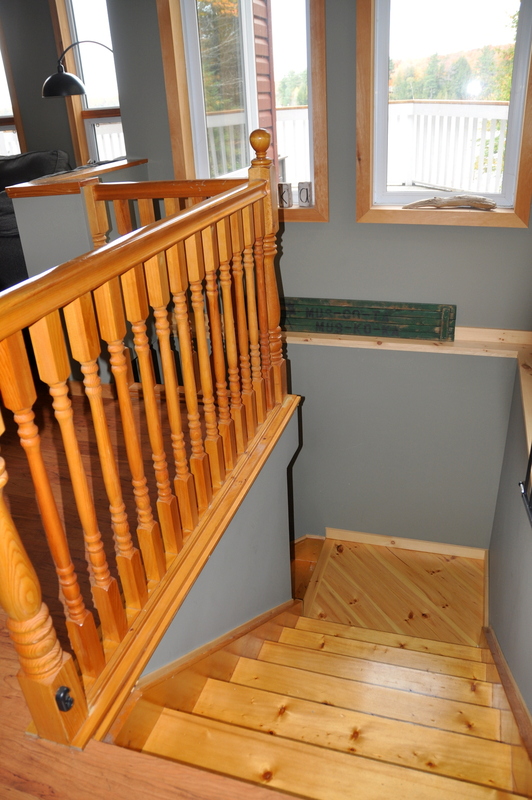 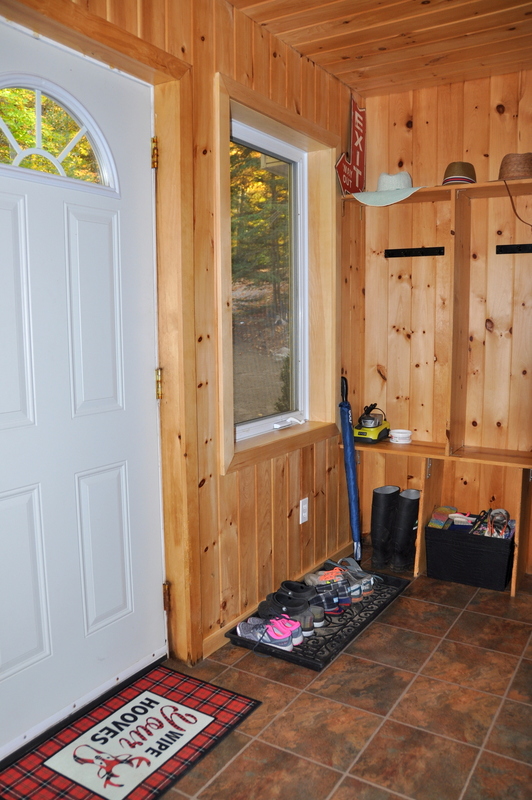 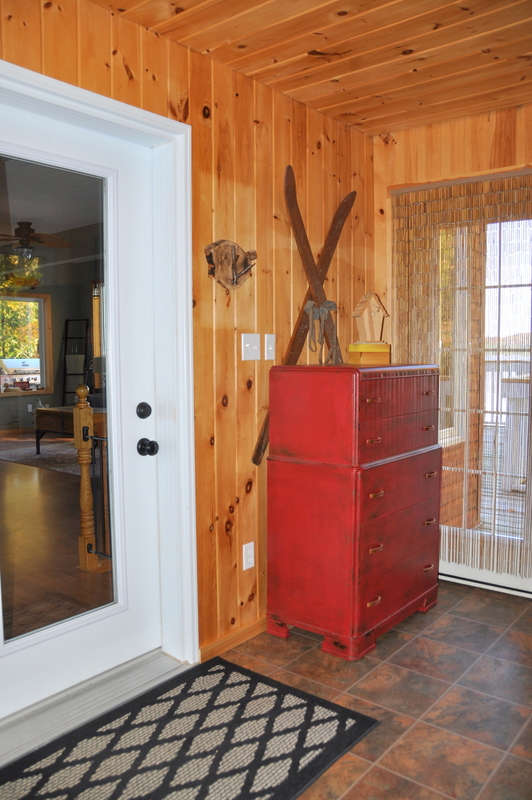 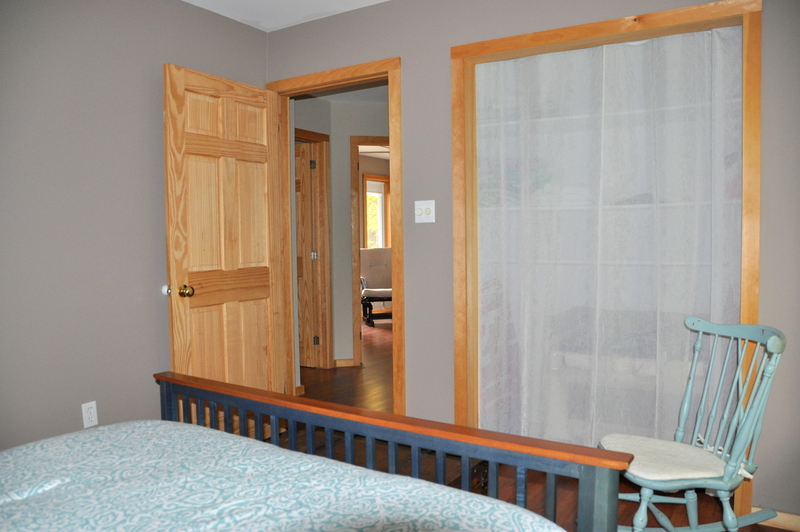 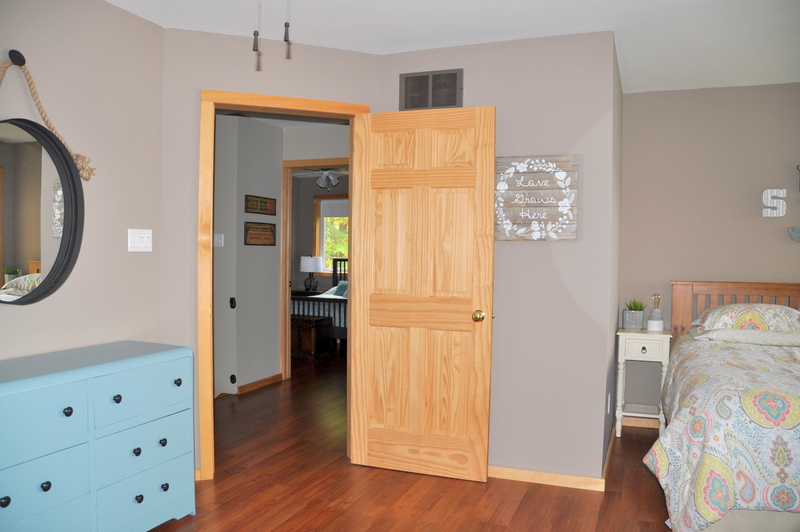 Enter the cottage through a separate good- sized mud room, great for leaving wet towels and sandy flip flops. 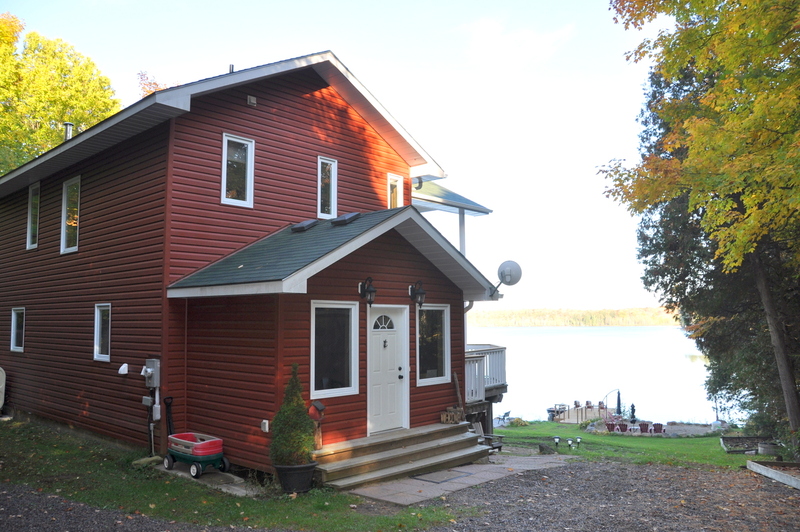 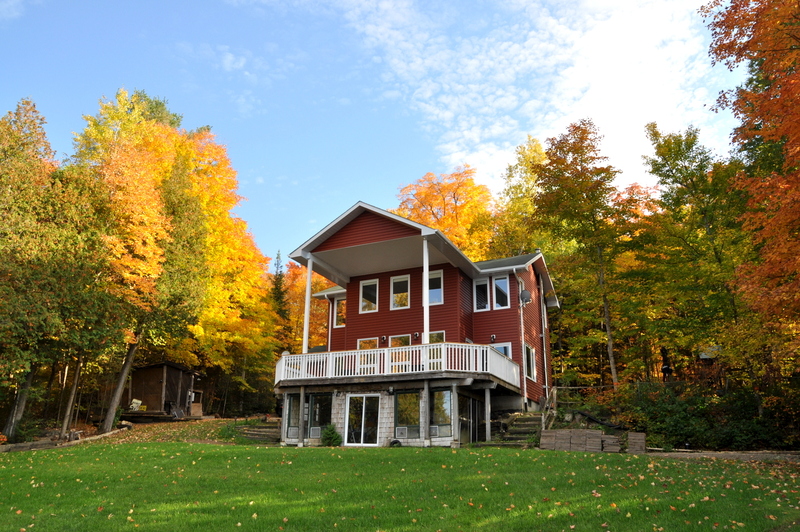 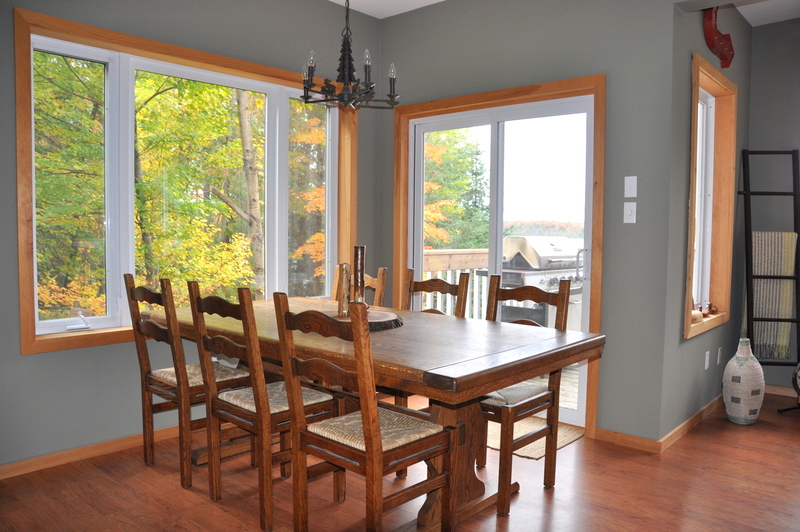 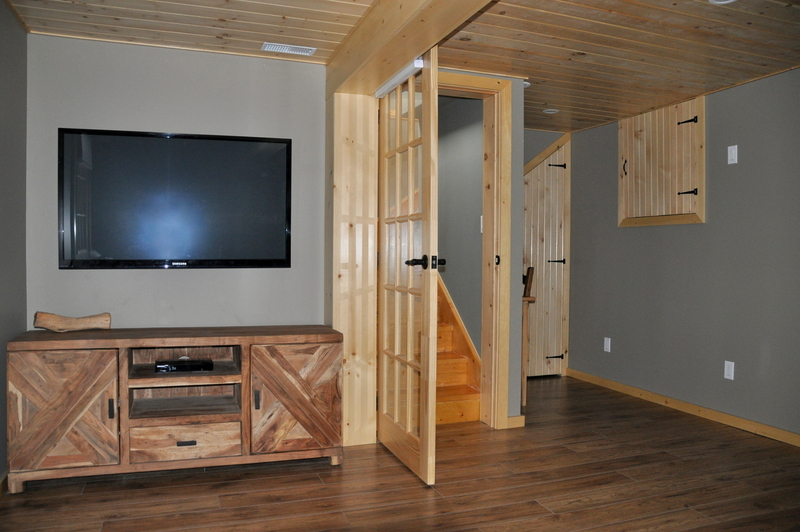 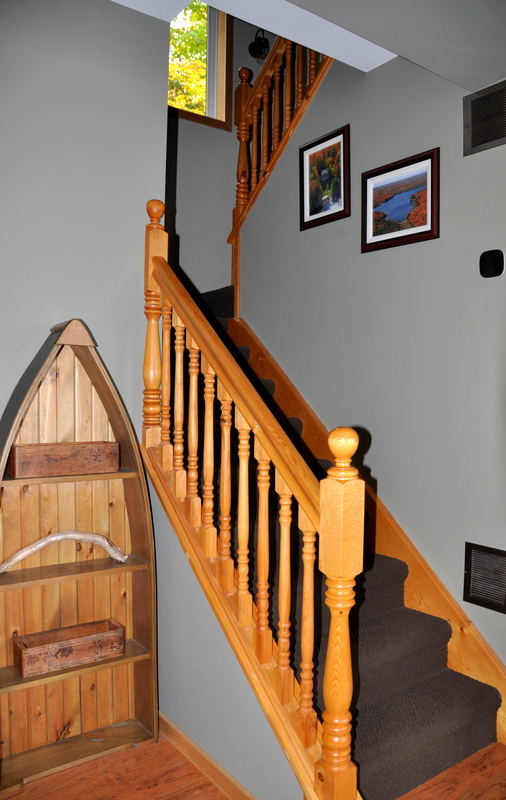 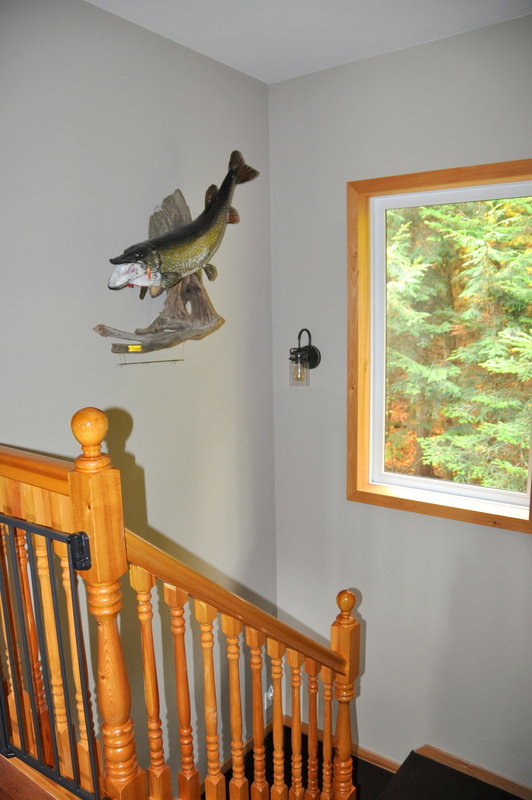 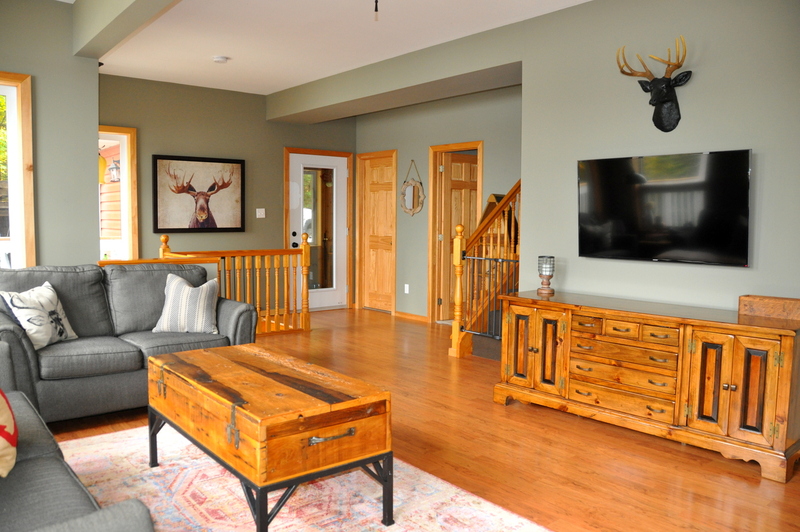 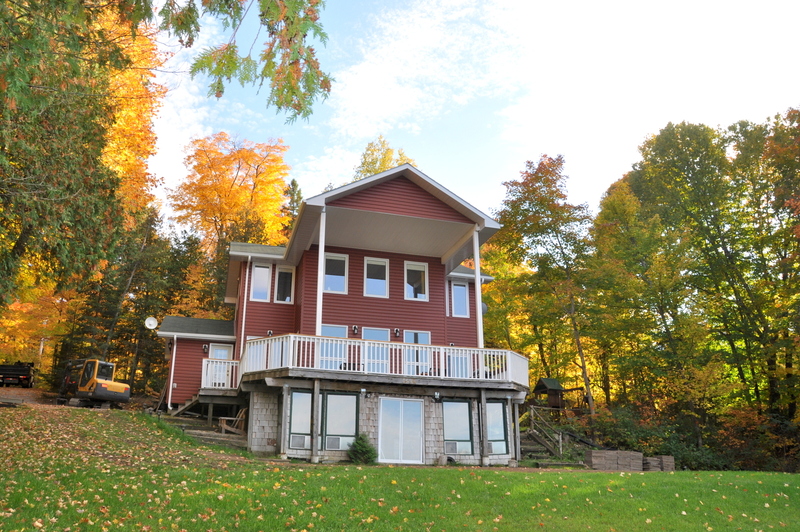 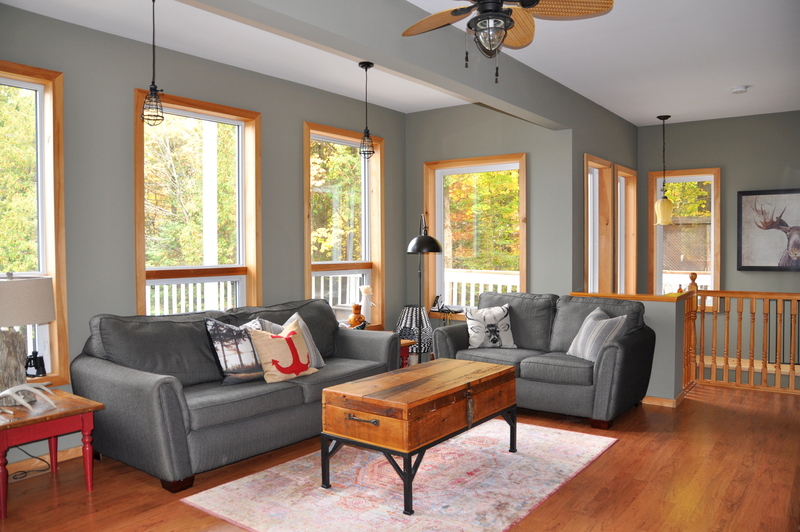 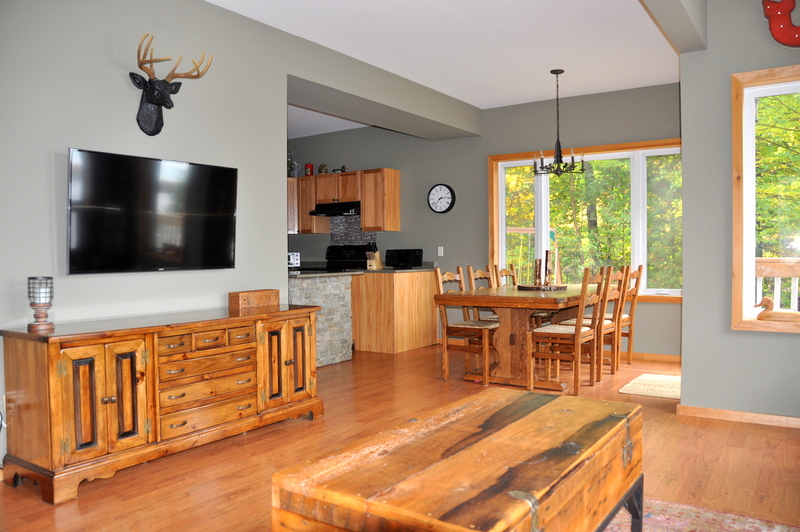 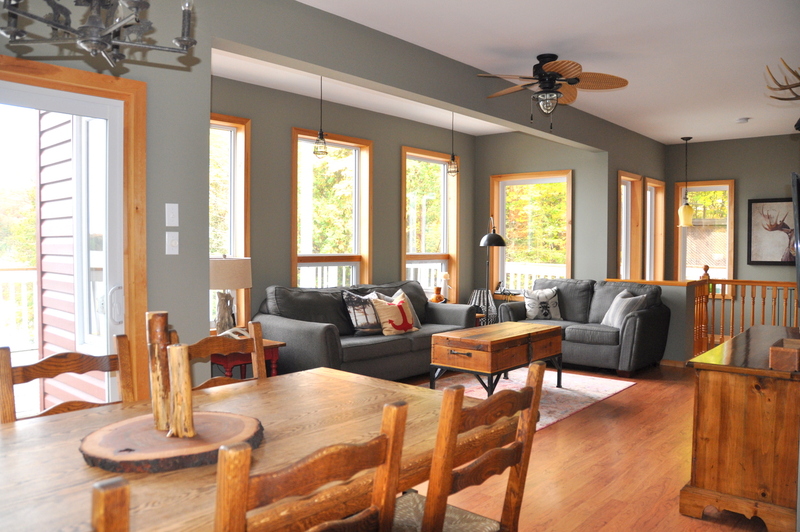 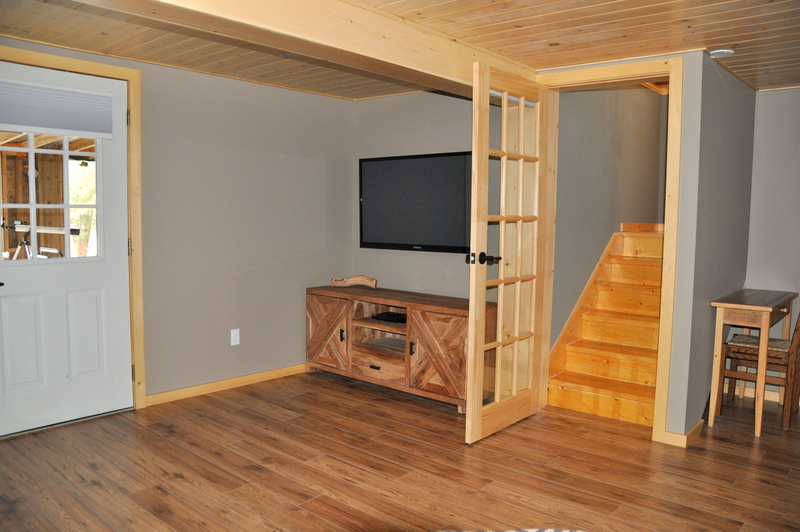 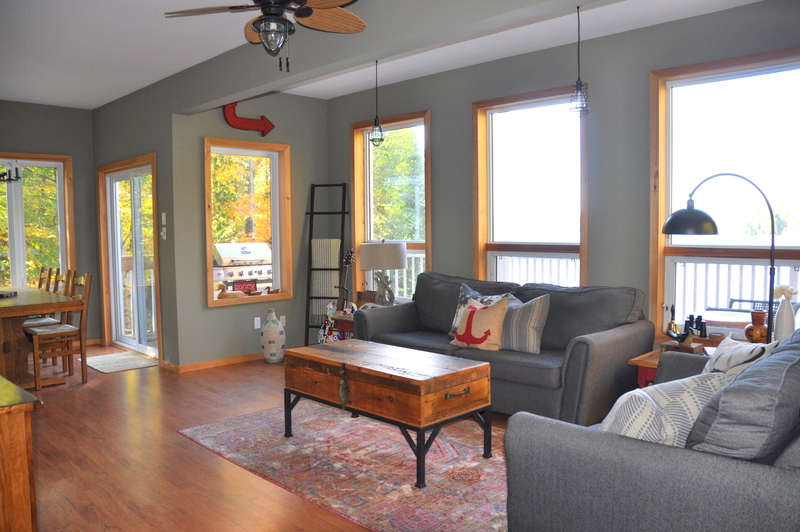 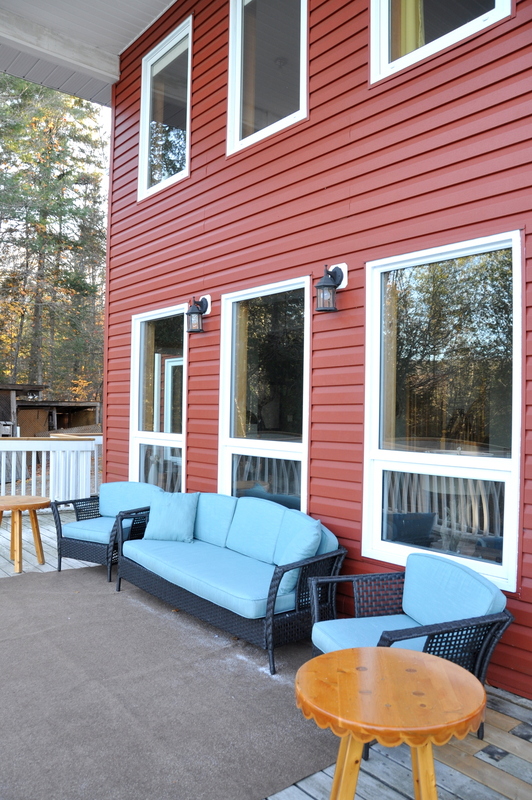 As you step inside to the main level of the cottage, you will be greeted by a warm and inviting open concept kitchen/dining/living room all facing out to the deck and waterfront with 3 walls of large picture windows and fantastic open lake views. 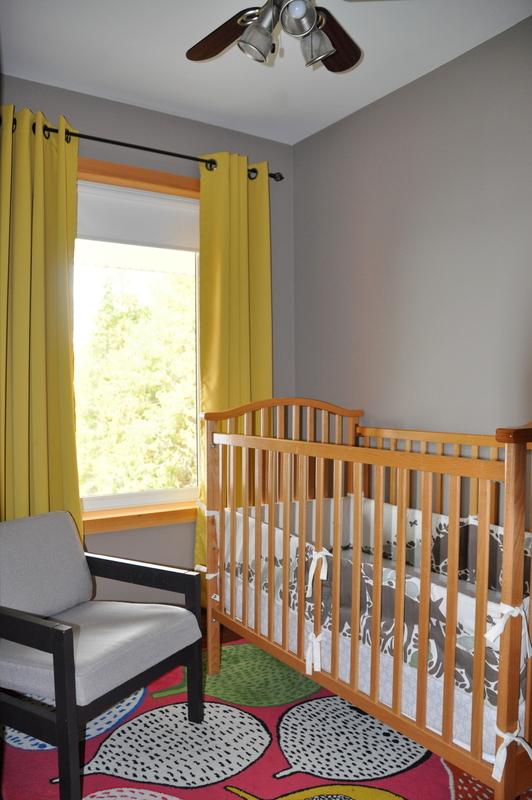 The living room has comfy couches, a large flat screen TV, gorgeous wood laminate floors and there are even safety gates from here to both the upper and lower level, allowing younger ones to safely play while the parents are getting meals ready. 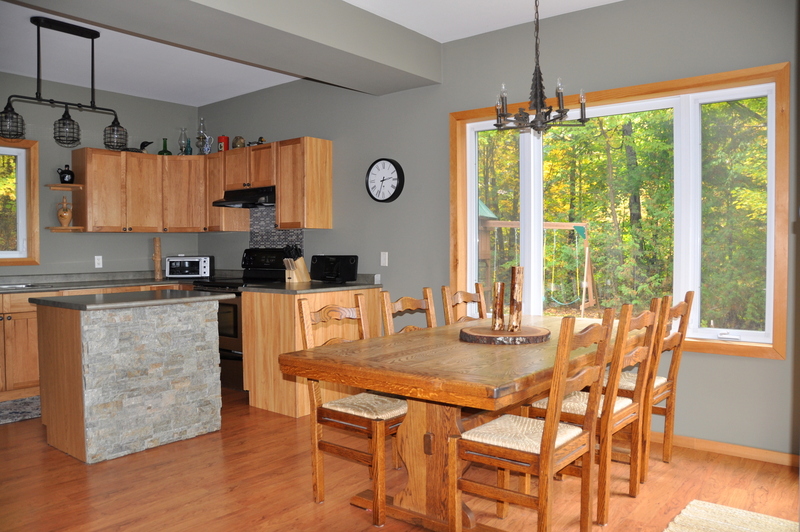 The kitchen is compact and well organized with an island between it and the dining room table, ideal for prepping and serving from. 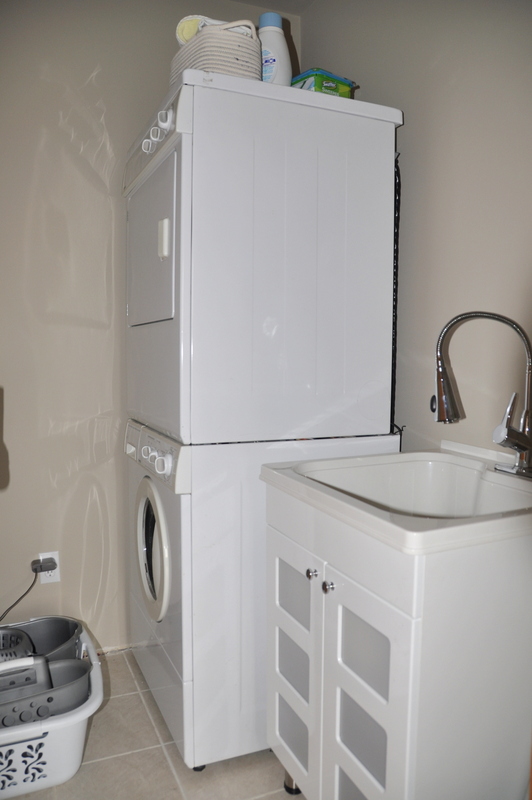 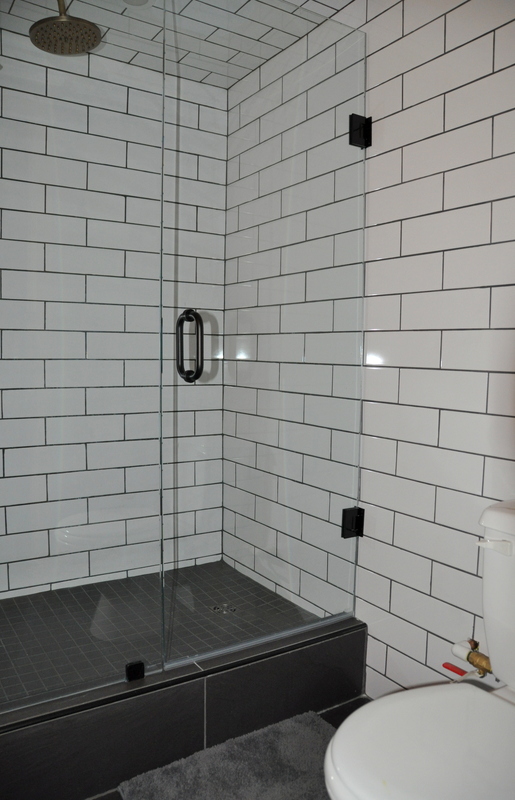 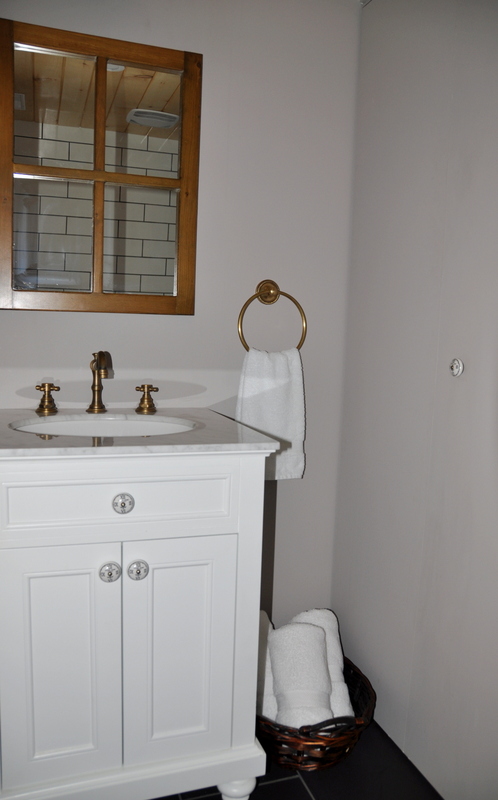 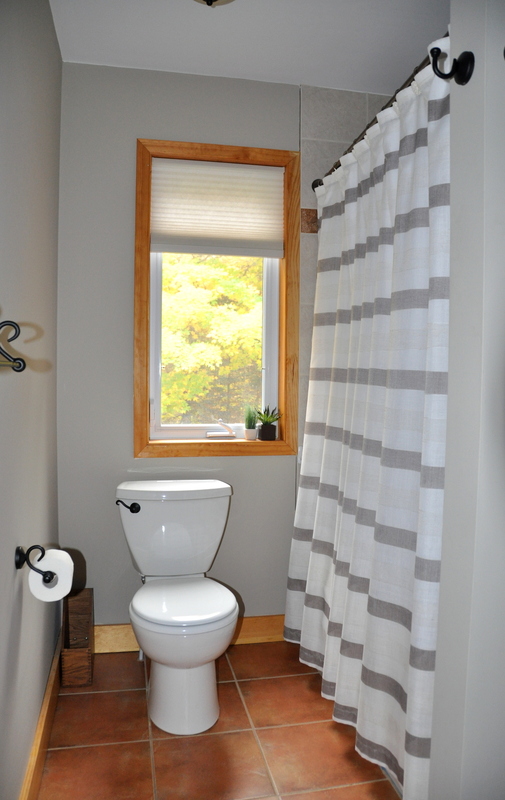 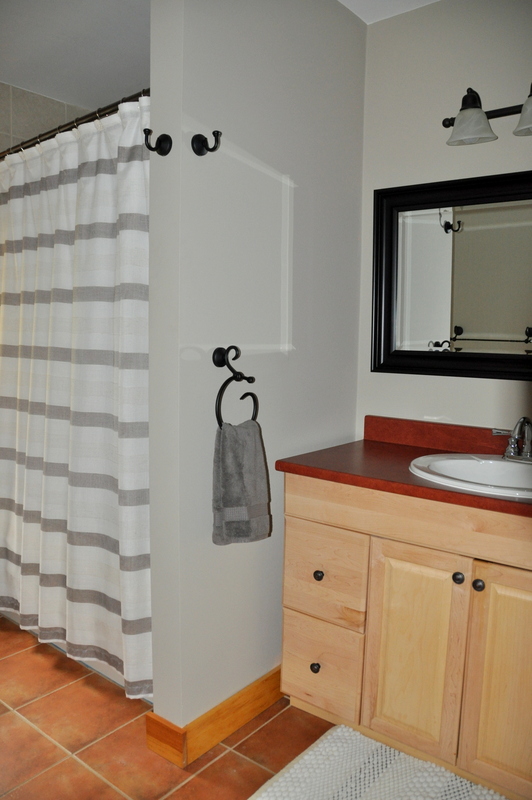 A 2-piece bathroom and a laundry room round out this level. 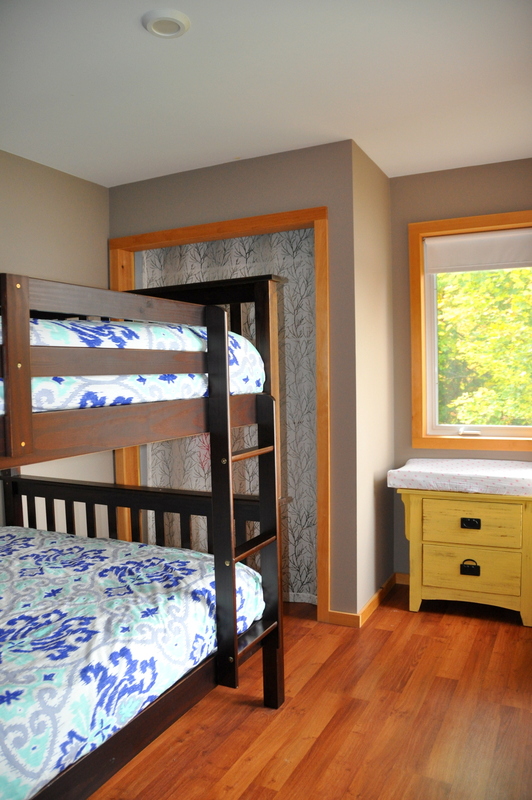 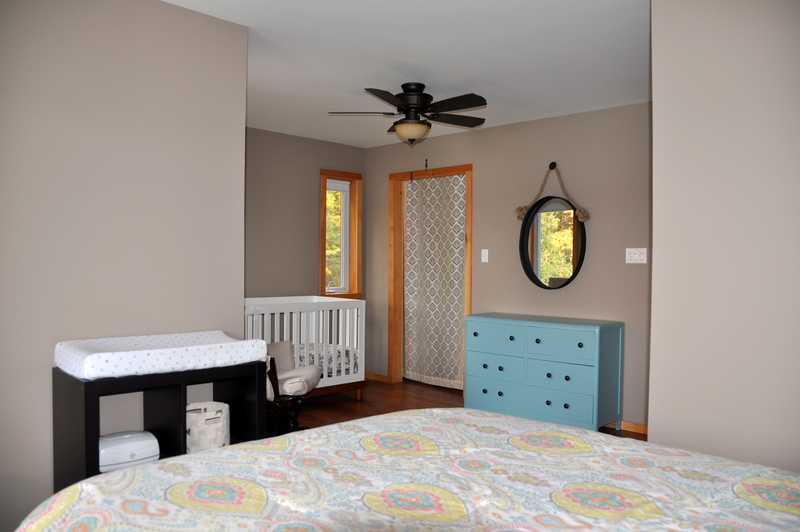 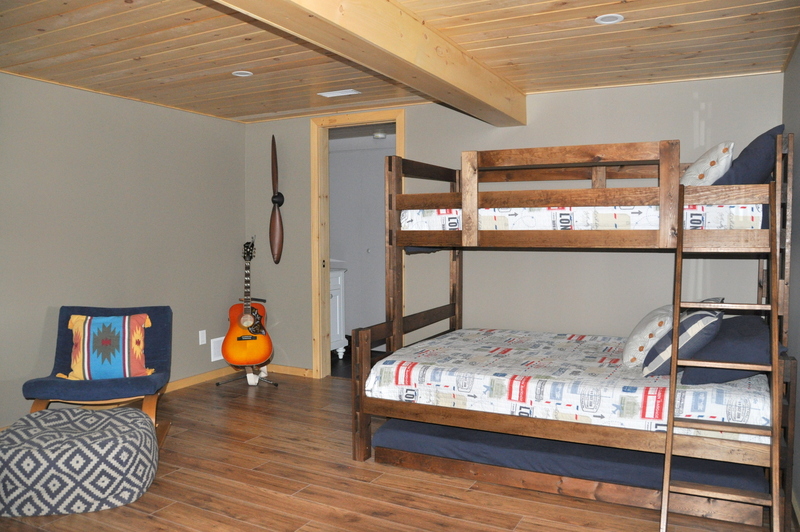 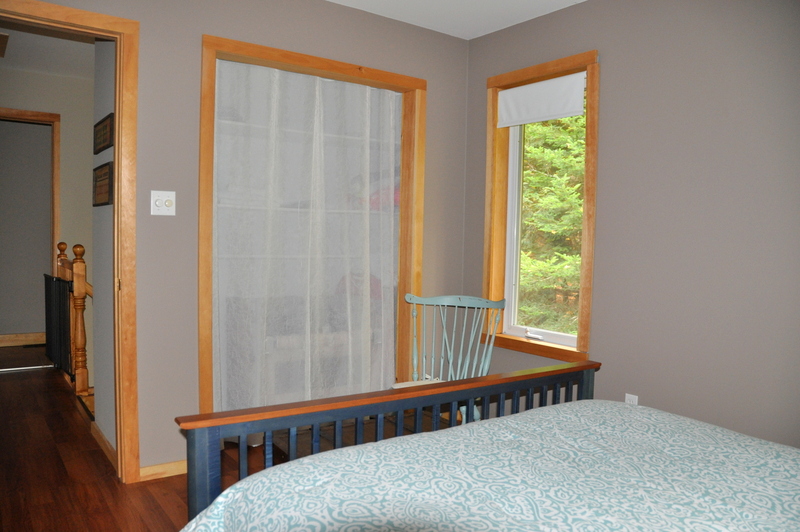 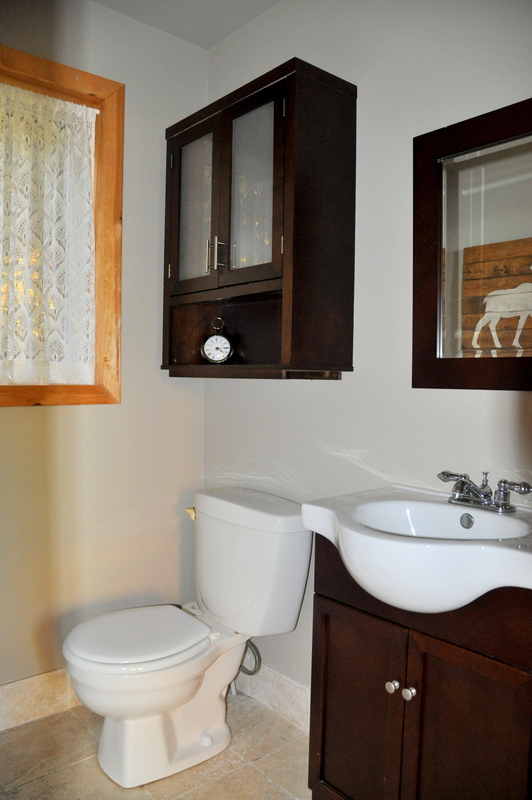 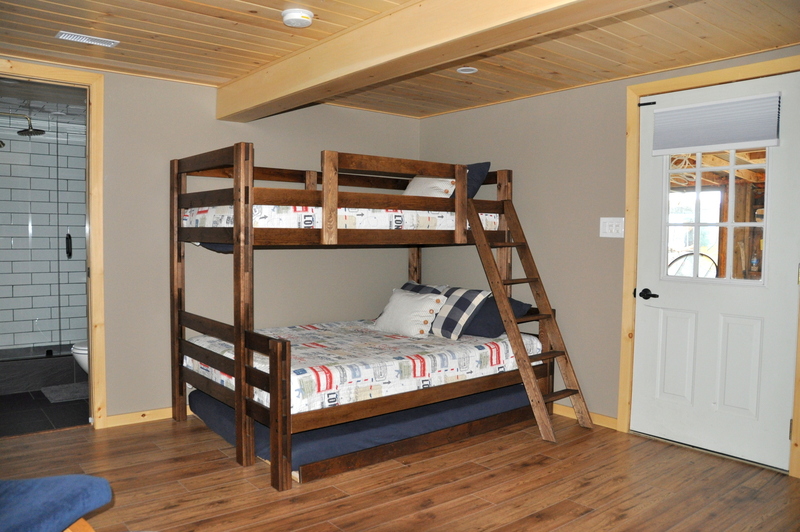 The upper level has a 4-piece bathroom and three tastefully decorated bedrooms with both lake facing bedrooms having cribs and change tables. 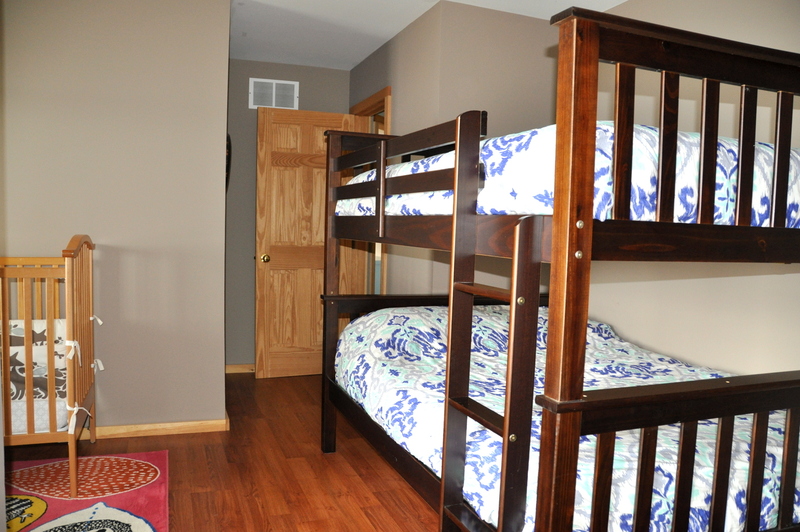 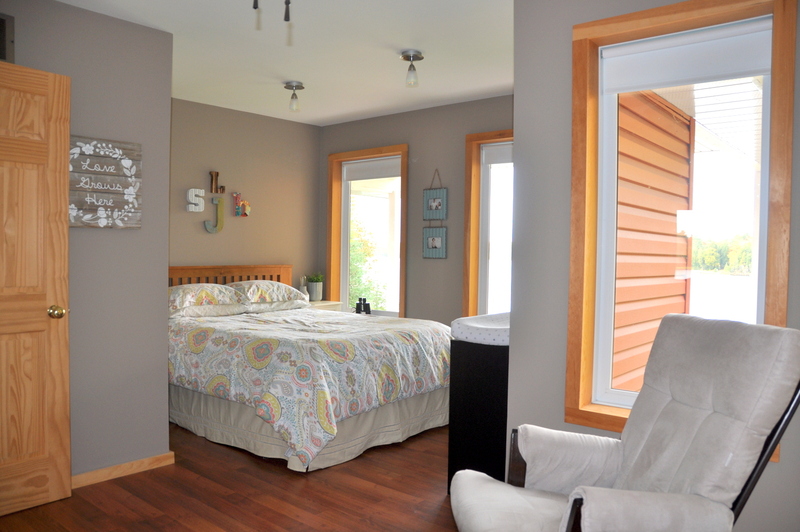 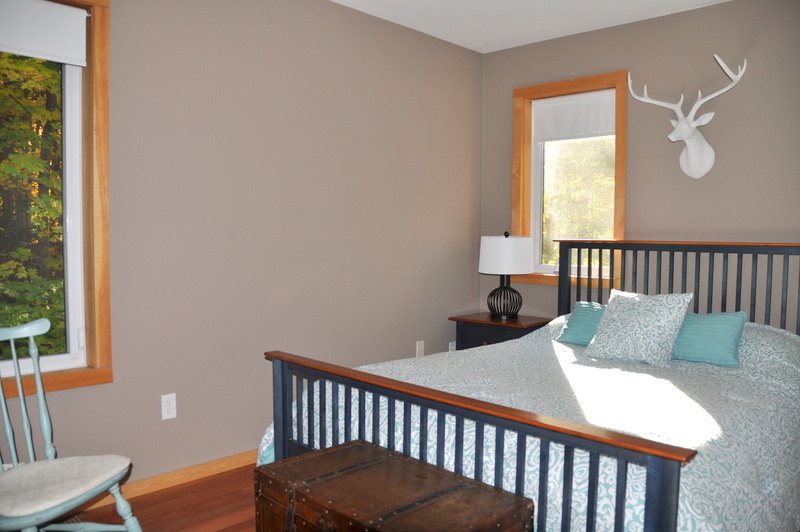 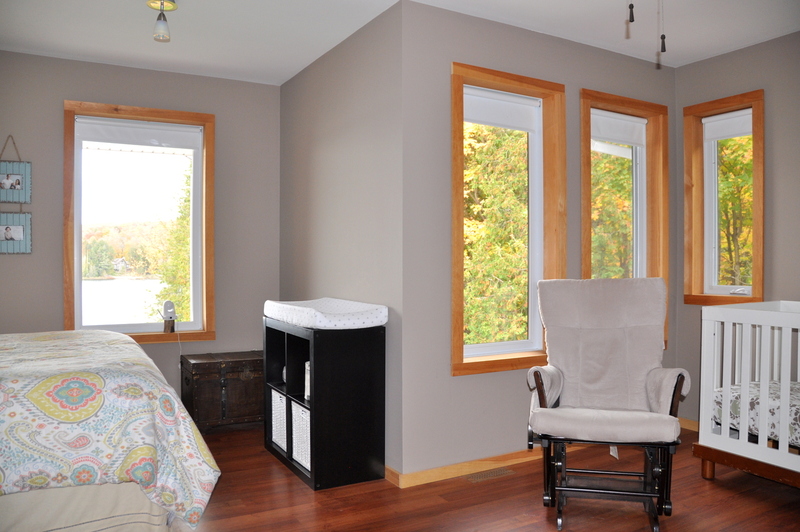 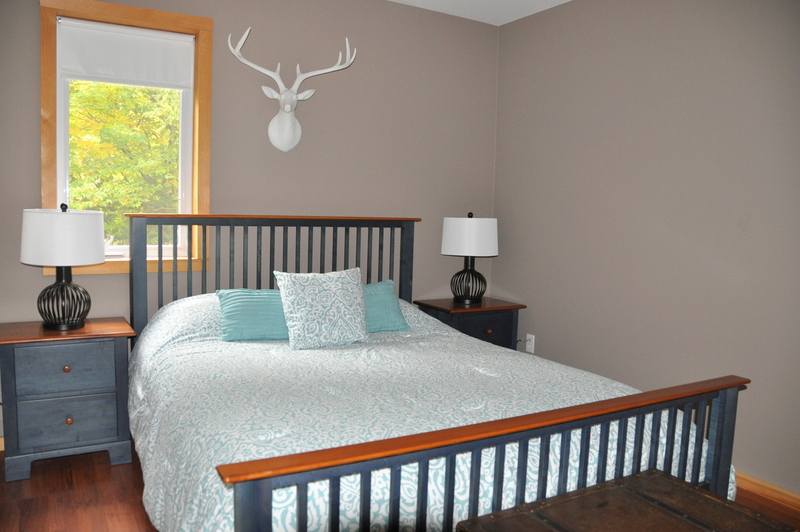 A fourth bedroom is located on the lower ground level and has its own 3-piece bathroom. 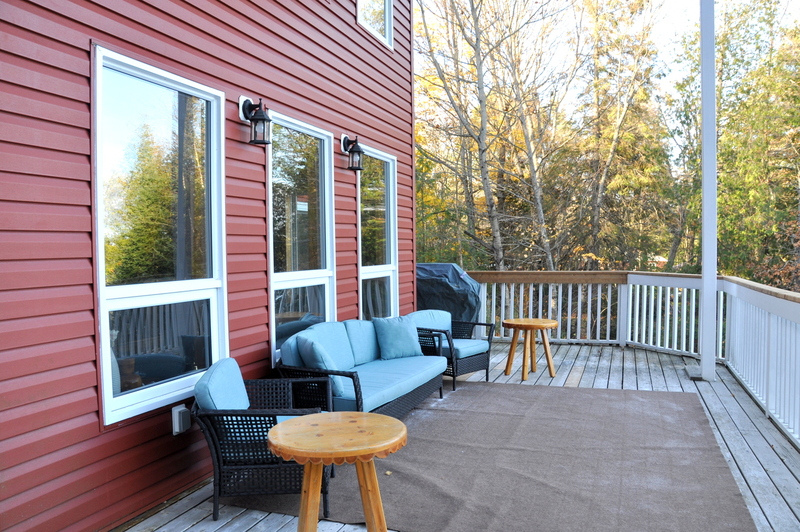 Start your mornings, coffee cup in hand, on the spacious covered deck with its tall plantation-like columns. 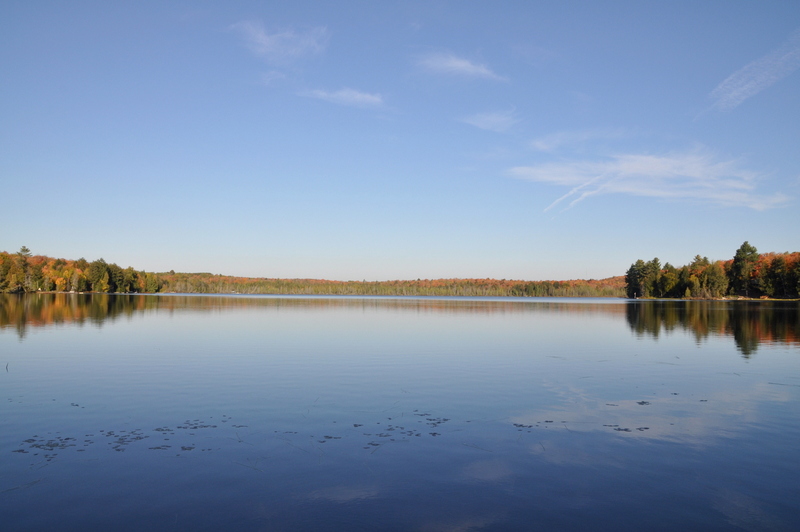 Early in the day the lake is almost glass like and more often than not you will be greeted by the haunting call of the loons. 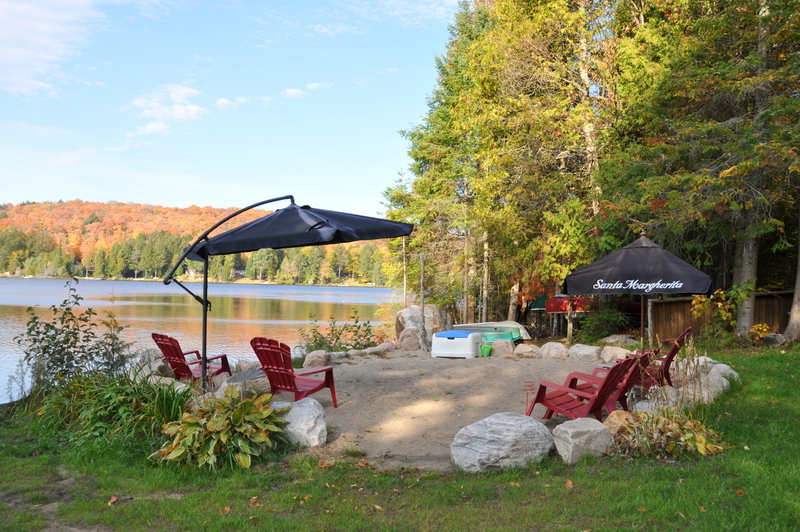 Laze your days away soaking up the sun down at the beach while the kids play for hours making sand castles. 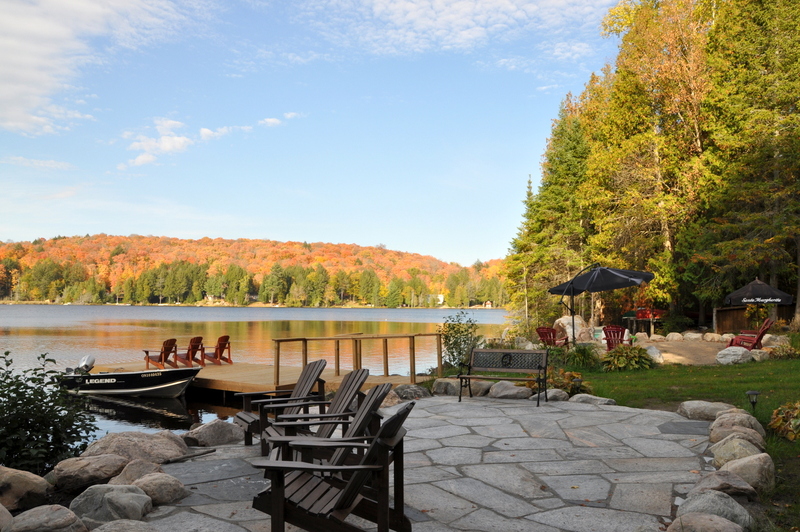 With a shallow sandy entry to the water the younger ones can safely splash and play within view from the beach area or dock. 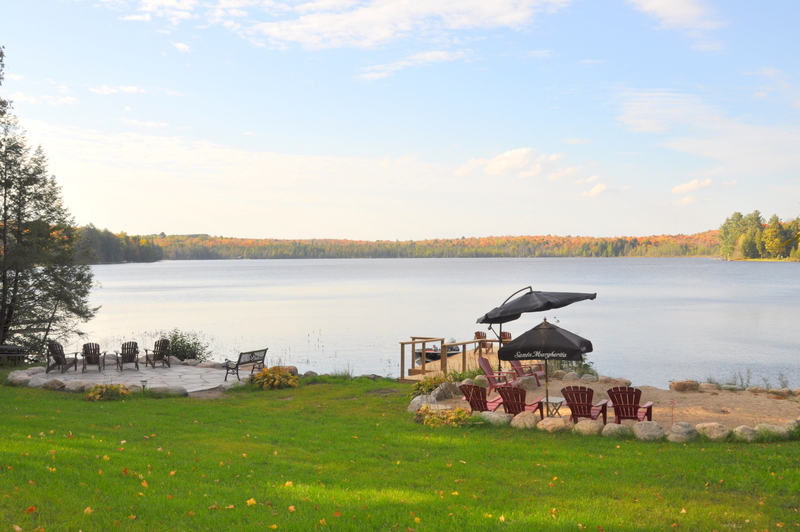 With minimal water traffic and a variety of non-motorized water toys at your disposal, you will definitely want to get out and explore the lake. 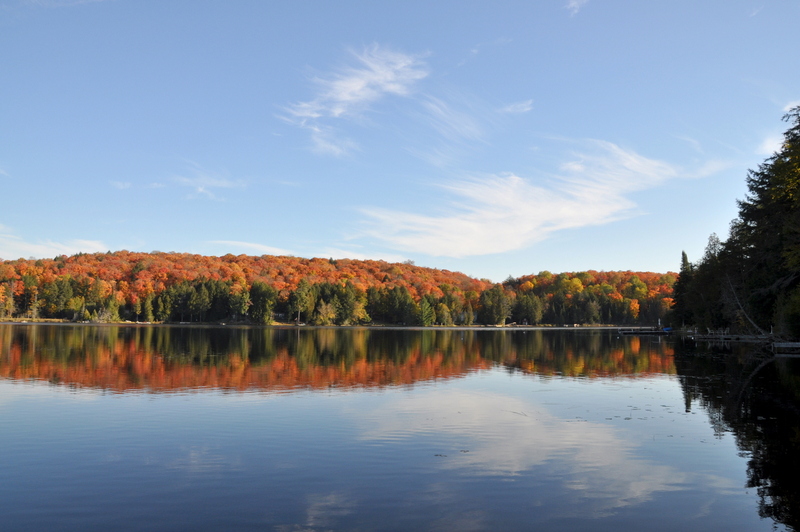 For avid anglers, the lake is known especially for its great bass fishing but there is also catfish, pike and perch to be found. 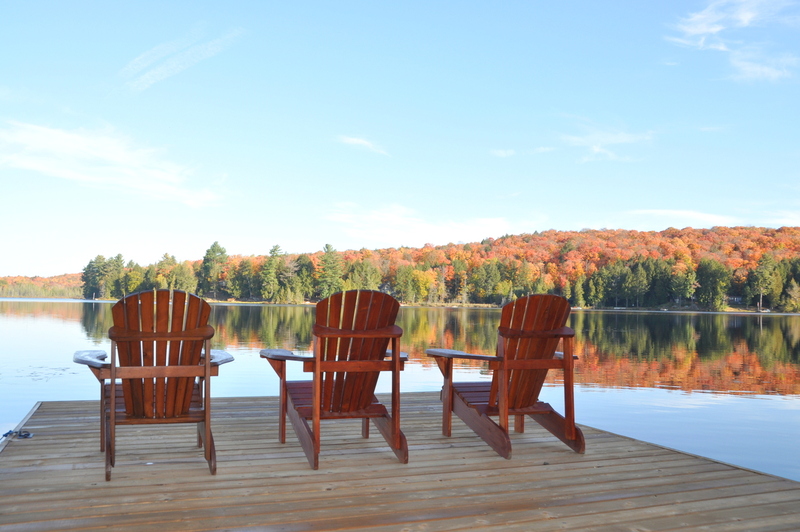 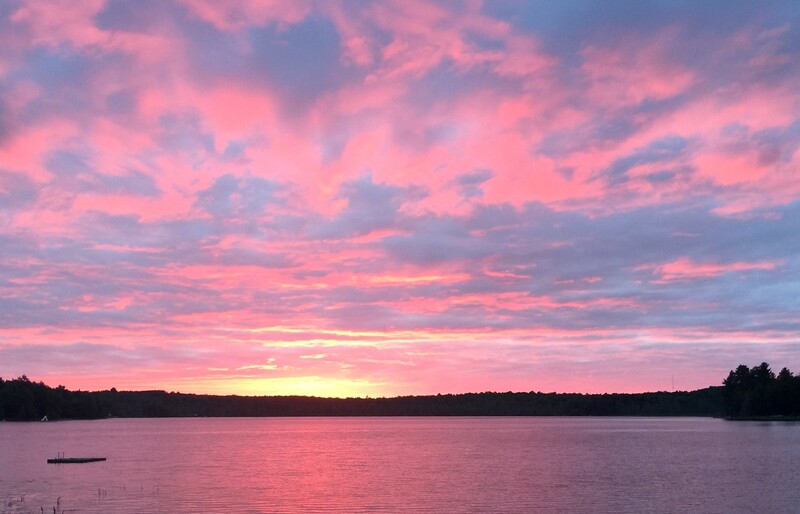 As the day comes to an end, light up the BBQ on the deck for dinner, then gather around the lakeside stone patio and fire pit, roasting marshmallows while taking in the stunning sunset and as the sky fills with a blanket of stars, count your blessings! 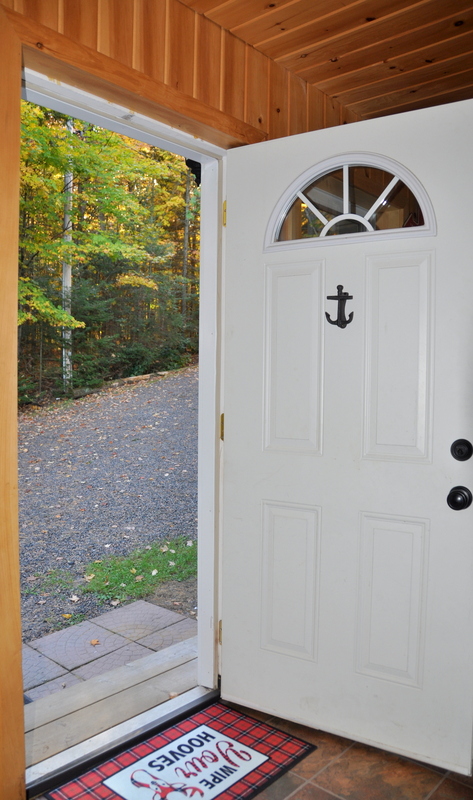 No pets, no smoking, maximum number of occupants is 8, bring own linens and towels, bring own water if preferred, noise restriction after 11 PM.